Could this be the answer to home ownership, to build your house of earth? I’ve read the Instructable, How to Build an Earthbag Roundhouse, by Owen Geiger. 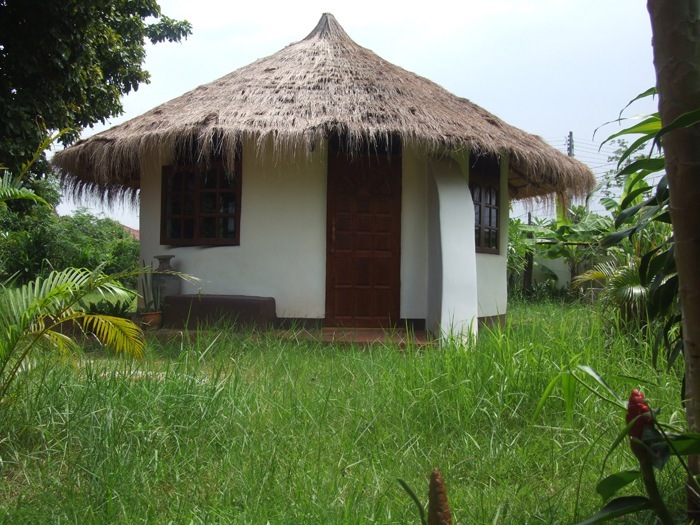 Geiger’s article provides step-by-step details for building a one-room, small round home with conical thatched roof, using bags filled with soil for the walls. Also required are some concrete, plaster, windows, barbed wire (?! ), and such. The author’s Earthbag and Natural Building YouTube Channel shows detailed videos. Geiger states that earth built homes are sturdier and more economical than “stick-built,” which use lumber and sheetrock. 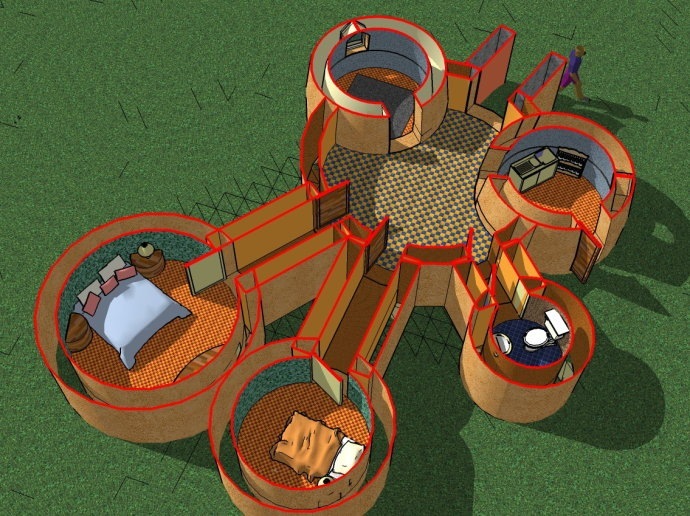 I wondered how you could build a multi-room home and, sure enough, the author’s Earthbag Building Blog shows a a five-room design from a professor in Beijing. It turns out the rooms are each a separate roundhouse, all connected by corridors to a central round lobby. I infer that this is dictated by the building method – round shapes are strongest with earthbags. 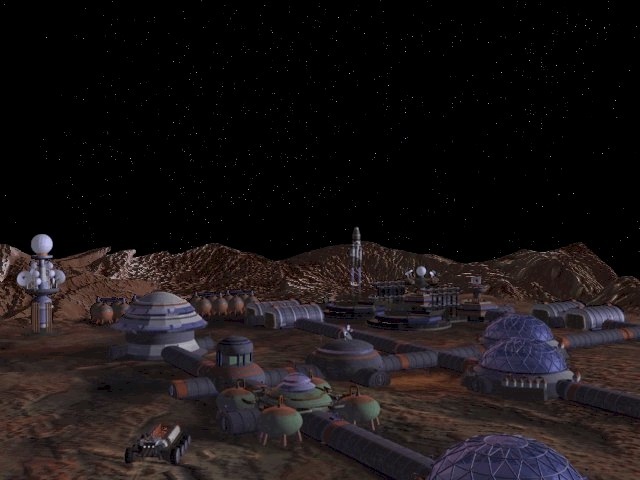 The floor plan reminds me of the science fiction video game called Outpost, a kind of SimCity in space. It’s intriguing that an old-school earth building technique mirrors a space-age metal building technique. Perhaps it’s “form follows function,” where cylinders and spheres have strong properties.